Last year, my wife and I traveled to Belize. We traveled to San Ignacio, the country's mountainous region, and then to the coast. We arrived in Ambergris Caye, we couldn't believe how beautiful it was. We changed and ran into the ocean right away. In front of the hotel the beach was perfect, the sand was smooth, the ocean was blue, almost transparent. We decided to take a walk along the beach, leaving the hotel premises. As soon as we left the front of the hotel, we noticed the large amount of plastic, glass, and metal in the sand, along with seaweed and other dead marine life. The first thing that came to my mind was the documentary Mission Blue. As a scuba diver since I was 9 years old, when I first dove with oxygen tank, it was really depressing seeing what is really happening to our oceans. 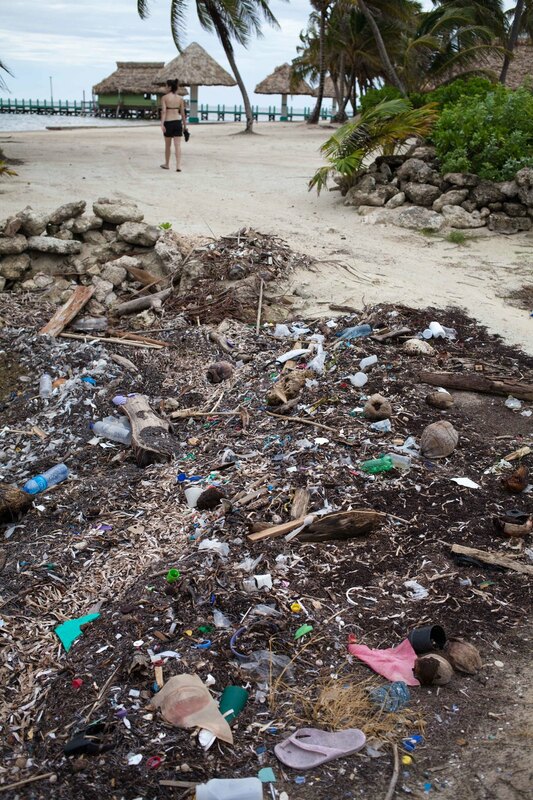 Back in 2012, we saw the same problem in the Exumas Islands, Bahamas. The amount of trash on the beach was incredible. Huge pieces of plastic just sitting there, waiting for a big wave to put it all back into the ocean. I couldn't stand seeing that and not do anything. I spent part of an afternoon gathering trash, doing something that would make me less depressed about the ocean. I know it would not help the problem as a whole, but doing that made me feel better. It's like the ocean is letting us help, giving us a second chance. A picture of me trying to remove what I could from the beach. Photo by Rachel Glickhouse. 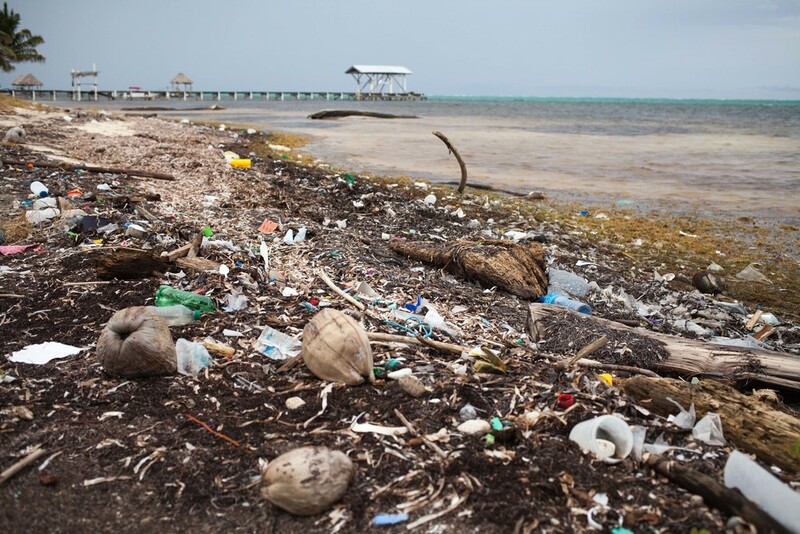 The problem is so big that each year, the cost of plastic waste damaging marine ecosystems amounts to $13 billion, according to the UN. 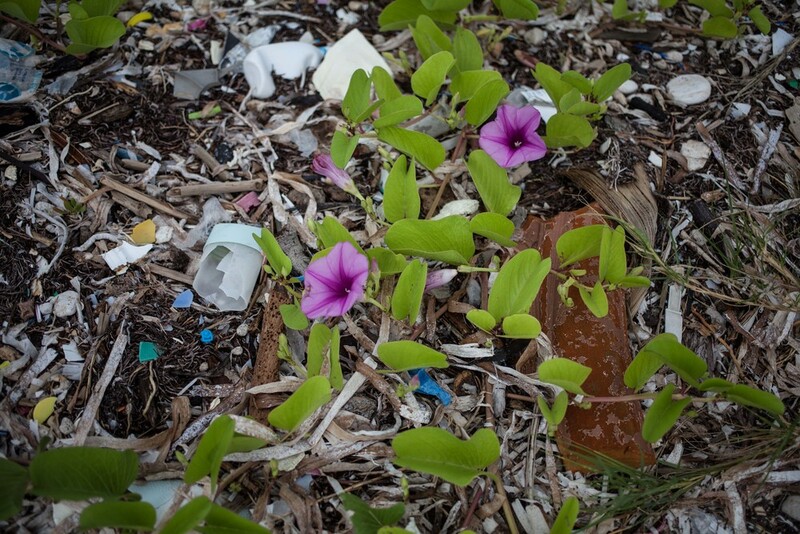 “Plastics have come to play a crucial role in modern life, but the environmental impacts of the way we use them cannot be ignored,” said Achim Steiner, UN Under Secretary General and UNEP Executive Director in statement last year. 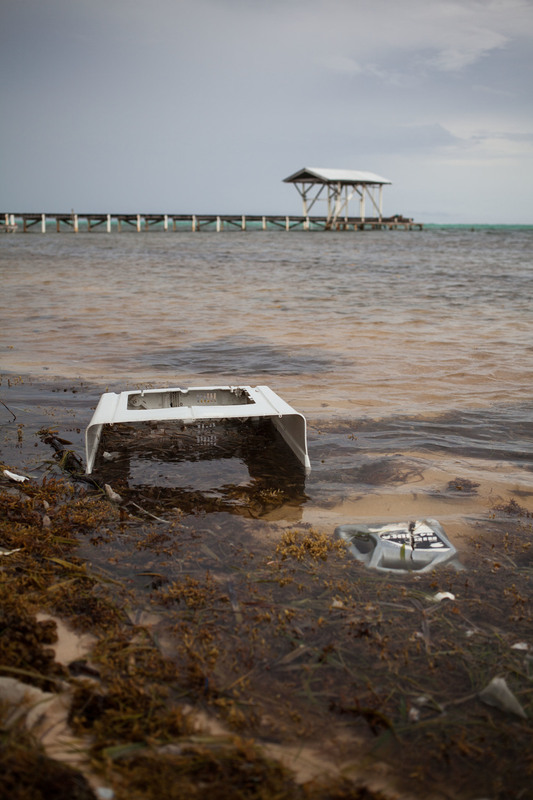 Walking along the beach in Belize, we wondered where the trash came from. Going though some of the pieces, my wife and I found a plastic water bottle distributed by Chuan Sin Cactus, a distributor in Malaysia. How did it get there? There are so many possible answers, although corporate responsibility is one of them. Companies do need to be responsible for plastic production by monitoring their plastic use and publishing the results in annual reports, as the PDP and the UNEP-led Global Partnership suggest. Another action to address this issue took place at the United Nations from January 20-23. Countries discussed on a new treaty negotiation to protect the oceans, specifically an unprotected area encompassing around 2/3 of the ocean that does not belong to any country. You can share the link and hashtag on twitter and other social medias, using the hashtag #waveofchange. Let's move toward a solution. I believe none of us want to say to our children: This is what we are leaving for you.